Marchantia polymorpha male or common liverwort or umbrella liverwort, vintage engraved illustration. usual medicine dictionary - paul labarthe - 1885. 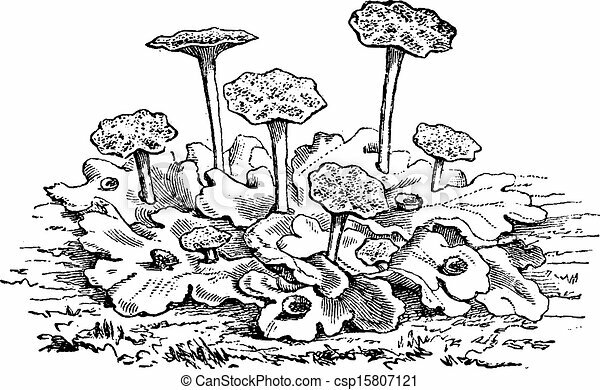 Marchantia Polymorpha Male Or Common Liverwort Or Umbrella Liverwort, Vintage Engraved Illustration.